Wireless towers and communications infrastructure is an integral part of your total wireless solution. 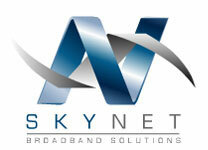 SkyNet’s skilled team of engineers and installation crew can provide a safe and effective solution. SkyNet employs infrastructure solutions from a variety of manufacturers, and work closely with these vendors throughout the engineering, design, provisioning, certification, and installation phases. SkyNet provides turn-key solutions for both guyed, and free standing towers. All towers are designed and engineered by their team of on-site certified engineers. SkyNet brings years of hands on experience, and multiple tower installations to our technical knowledge of wireless networks, Point to Point networks, Point to Multi Point Networks, Mesh Networks, and Rural Broadband Networks. Our deployments can be referenced in a variety of organizations in varying levels of Government, Education, and private Sector, in both Rural and Metropolitan areas. Proper engineering and considerations for local climate is essential as equipment, cables and connectors are subject to our harsh Canadian winters. Tightening antennas, checking waterproofing and grounding once or twice a year is a key to prevent wear or water damage to wireless network. SkyNet offers concealed towers for use in situations where local zoning regulations and aesthetics have a bearing on sensitive areas. Common forms on concealed towers include concealed poles, flag poles, and tree towers. Each application can be customized to suit your needs. These towers are hot dipped galvanized, and can be painted to meet your local zoning needs. A full line of customization products, including mounts, are available.